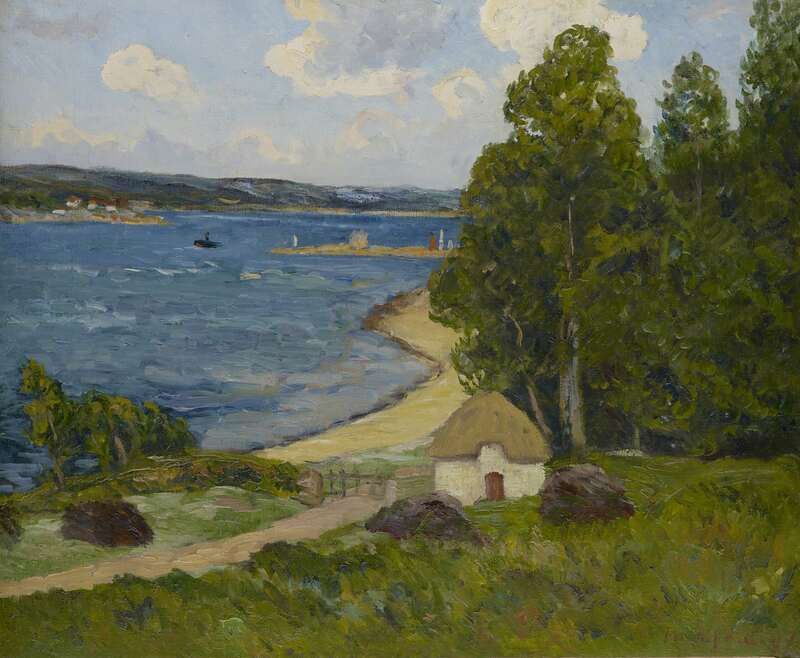 Maxime Maufra | Stoppenbach & Delestre Ltd.
Maufra first began painting at the age of 18. He was encouraged by the Leduc brothers and Charles Lebourg, artists residing in Nantes. As his parents were reluctant to see him engage in a full-time career as an artist, Maufra continued working for the family business and only painted in his spare time from 1884 to 1890. 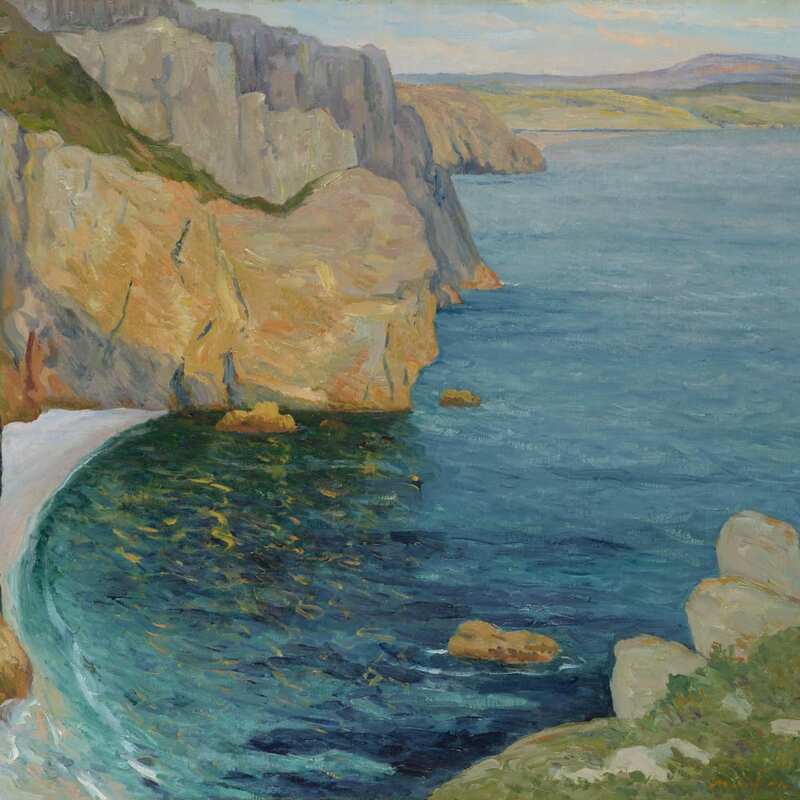 In 1883, Maufra was sent to London because his father wanted him to be trained in business, and there he visited the National Gallery, where he discovered the works of J.M.W Turner, which was a revelation for Maufra and would influence his later aesthetic approach. On his return to France, he discovered the work of the Impressionists and exhibited at the Paris Salon of 1886. In 1890, Maufra, now a full-time painter, left Nantes for Pont-Aven in Brittany, where he met Paul Gauguin and Paul Sérusier. His time spent there would have a decisive impact on his style. 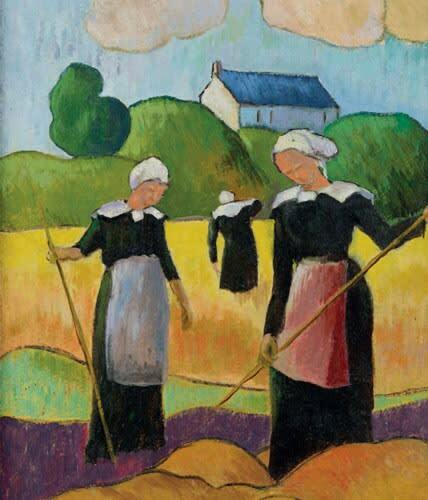 Maufra had his first solo exhibition in Paris in 1894, at Le Barc de Boutteville, for which Gauguin designed the poster. He subsequently exhibited with Durand-Ruel, who remained his dealer throughout his career. Returning from Brittany, he was the first painter to take up residence in the well-known Bateau-Lavoir in Paris, where later Cubist artists including Pablo Picasso will take residence. As a member of the School of Pont-Aven, the artist embraced a sensitive depiction of subject-matter, characterized by the usage of flat areas of colours, and marked by energetic outlines. 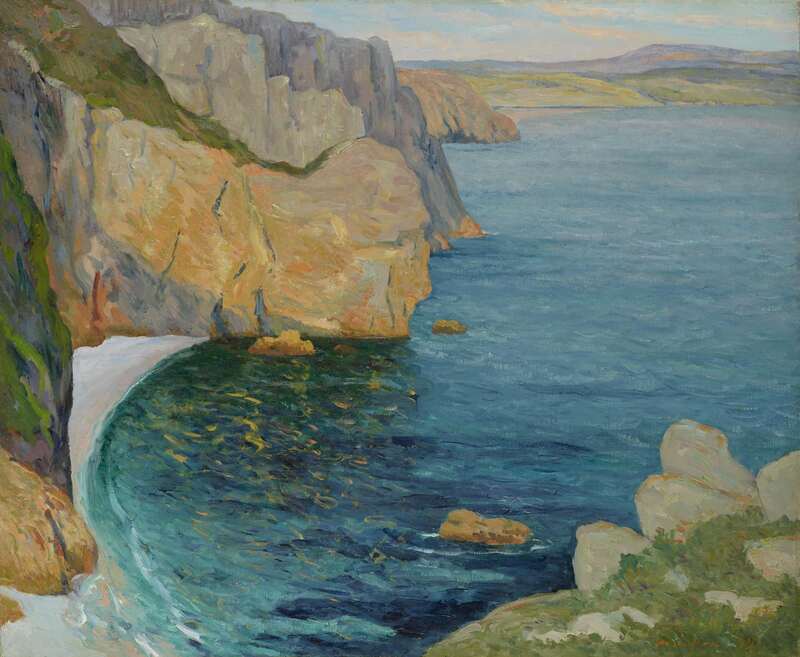 Maufra focused on subjects such as the coastline, ships and countryside views. Though, unlike others painters, Maufra will not opt for pure colours and remain attached to the use of delicate and short-brushstrokes inherited from Impressionist painters. The artist will always be torn between a realistic and a symbolic approach to landscapes paintings, which reached a paroxysm in 1892, in one of his masterpieces Pont Aven Voile Rouge. Following the influence of Henry Moret, and the wanning years of the Pont-Aven School, he later in life, shared a preference for light and clarity, adopting a more realistic approach to landscapes.